John Jones was twelve when he witnessed drug kingpin Felix Mitchell's funeral. Stately Rolls Royces and Cadillacs followed a horse-drawn carriage with Mitchell's casket on E. 14th Street before a crowd of thousands. "I'd never seen anyone revered that way, someone who looked like me," Jones recalled. "At the end of the day, we all want to be somebody. ... And if you don't have a legit way to get there, the other world looks attractive." Jones entered this other world when he dropped out of junior high to sell drugs. It was the late 1980s. He calls the first half of his life a "what-if" story. Although he excelled in school, he saw no path to college. His deep East Oakland neighborhood was being hollowed out by Reaganomics. The leftovers were incinerated by the drug war. To this day, he wonders how life could have been different. "If I had been in another environment, if there hadn't been a plague of crack and violence ..."
Jones ended up a number in America's prison-industrial complex. Incarcerated, he meditated on the social forces that shaped him, and the bad choices he made. He hated dealing drugs. He lamented the loss of community institutions that could have steered him another direction. In his cell, he pondered his family history: another what-if story. Relatives on his father's side were Black Panthers. On his mother's side, the Nation of Islam. Jones grew up hearing stories about a revolution that almost was. "But COINTELPRO undermined those institutions," Jones said about the 1960s-era program to discredit and destroy activists like Martin Luther King Jr. and Malcolm X, and the movements they organized. "Drugs came in and radically shifted the Black community. The pimp replaced the revolutionary." When Jones was released in 2012, he was unemployed and homeless. But he was also determined to rebuild a poor people's movement. He joined the Center Street Missionary Baptist Church in West Oakland and attended community walks for peace. Jones was introduced to a world of social-movement institutions. He explored the post-Occupy, pre-Black Lives Matter political moment. In 2014, he joined the coalition of labor and community groups that won one of the highest municipal minimum wages in the nation, Oakland's Measure FF. "That was the most miraculous, amazing year of my life," Jones said. "I saw I could have an impact." Today, Jones is a dynamo, advocating for an interconnected fabric of social- and economic-justice campaigns. 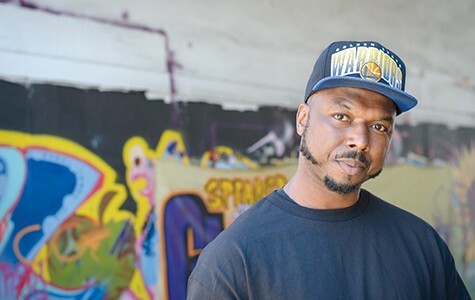 Several weeks ago, he was testifying before the Oakland port board of commissioners, asking them to "ban the box," so that formerly incarcerated people can get living-wage jobs in a planned warehouse complex. He recently spoke at a conference about the need to reform California's bail system. He rallies for investment in affordable housing, and supports police-oversight reforms. His day job is working as a life coach with Communities United for Restorative Youth Justice. He counsels young men who are victims of violence and alienation. 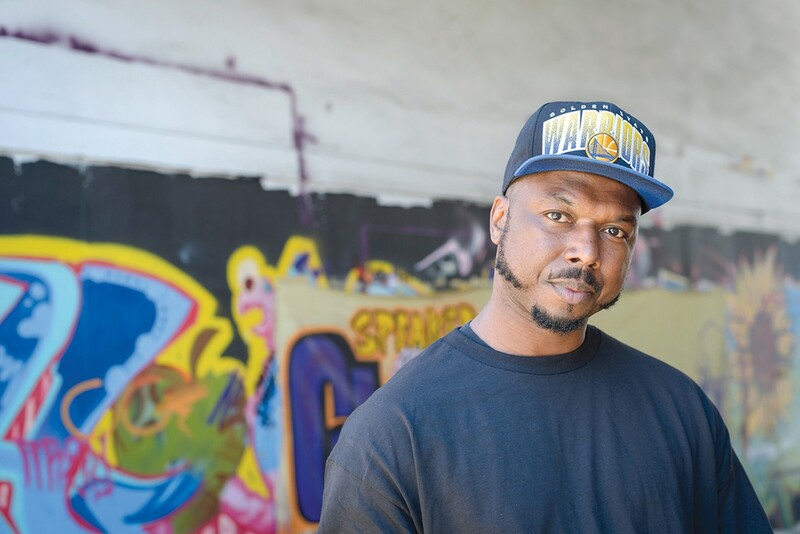 "I like to see myself as Oakland, the unglamorous side," he said. "A drop out. Someone who was incarcerated. But no matter who you are, what mistakes you have made, we have the responsibility and duty to ourselves, our families, and community to be the change we seek."